– Updated to support recent TF2 updates. – Various "under the hood" fixes. – Updated to support The Jungle Inferno Update. LugabugTenHello! I Really Love This HUD And I've Been Using It Ever Since I Got It, There Are One Or Two Little Things I Don't Like About It, But, They Aren't Too Bad. HowEver, I Would Like To Know How I Can Change The Color And Size Of The Damage Numbers. Thanks Again! Try another font names. For example, you can use "HudFontSmall", "HudFontMedium" or "HudFontSmallBold". JDawgManiacIs there a way to move the health/ammo count up out of the corners? ConfusedCowHi, love your hud! Btw, I was wondering if there was a script that can add sticky count (Number of stickies deployed) under the crosshair much like the uber % value under the crosshair? – Updated base files and minor improvements. * Special version. I don't plan to support this bench in the future. rebbitim experiencing something that may be caused by my own dumbness when I enable the thickcircle crosshair it shows the letter "i" instead of the circle ,can someone help me? I found a comment on this thread from 10 months ago, just prior to the 3.0.7 release http://107.191.99.83/16751/improved-default-hud/?page=5#127 reporting an identical issue. Same bug back again? Looks like Valve broke damage events. 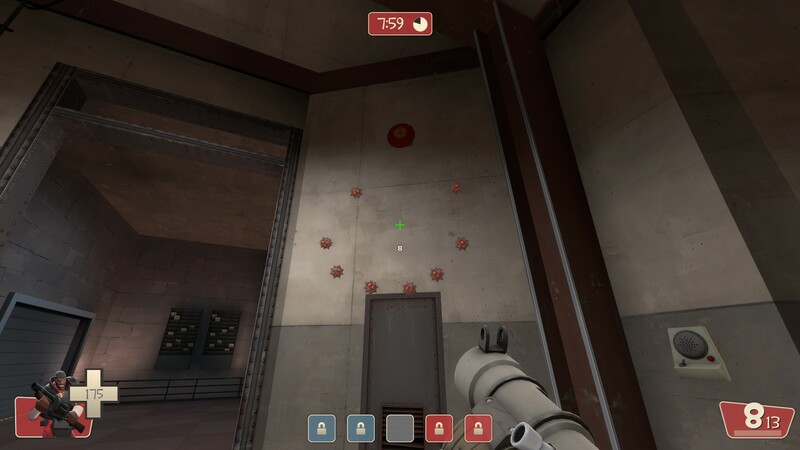 Try to disable it — open "\custom\idhud-master\scripts\hudanimations_manifest.txt" and comment the line #15 (add "//" symbols before), then save the changes and restart Team Fortress 2. // "file" "scripts/hudanimations_tf - hit indicator.txt"
If this doesn't help, try turning off combat text damage done ("hud_combattext 0" in the console). Go to idhud-master\resource\ui\ and open hudmedicchange.res file. Open the file and change "ResistIcon" wide parameter to "36". The resist icon will appear on the top left screen corner. Few other things. The Vaccinator is no longer showing the current resistence in the upper right corner as it used to be. Only lower left corner and over target. So when you switch to melee and back to vac. (without healing someone) you no longer have a clue what resistence you currently have. You will only notice up on healing someone. Also the scoreboard doesnt fit the resolution above. Its cutting the icons. 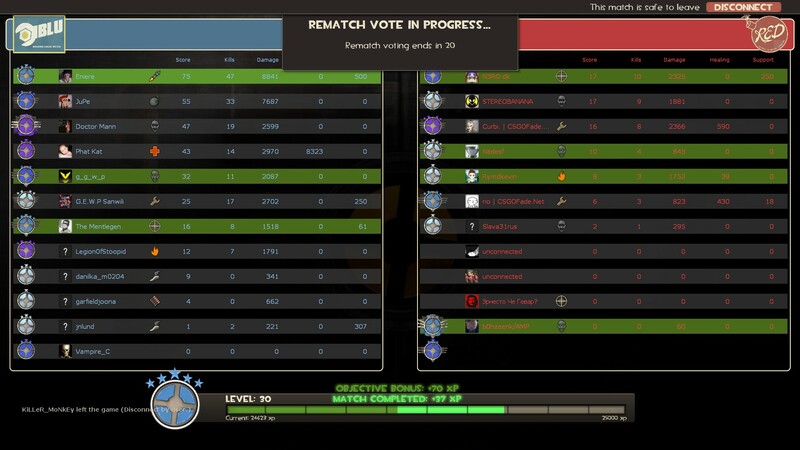 There is enough room to shrink the name in order to show the complete scoreboard. Are those only things on my end or is it you too? I still trying to fix Vaccinator indicator position (it's broken), so currently it turned off. My HUD using standard scoreboard layout (except bigger K/D in the bottom), but looks like Valve don't believe someone still using 4:3 aspect ratio :-) I'll try to make 4:3 version for you. muckelfuqqI pasted the recent HUD Files. But I still can't use the rematch button after the match has ended in casual. Resolution 1280x1024 please, can someone tell me what files I have to modify in order to use this button. Or is this hud not meant to support this just yet? 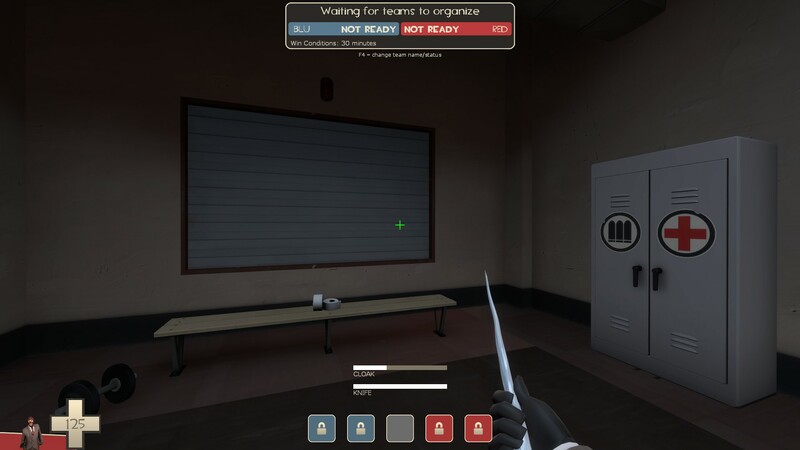 Just replace the files isn't enough, you need to replace the entire HUD with new version.